To enjoy the new season in full, from Walkaholic we recommend you 10 wonderful places for hiking in Spain that will leave you unforgettable memories of this spring. Enjoy them! If you are one of those romantics who love sunsets at the shore of the Atlantic waves, you will surely want to make the route that extends from San Guillermo to Finisterre Cape. The cape is so beautiful and historic that in its day it was considered the end of the known world, and it has been declared in 2007 European Heritage. 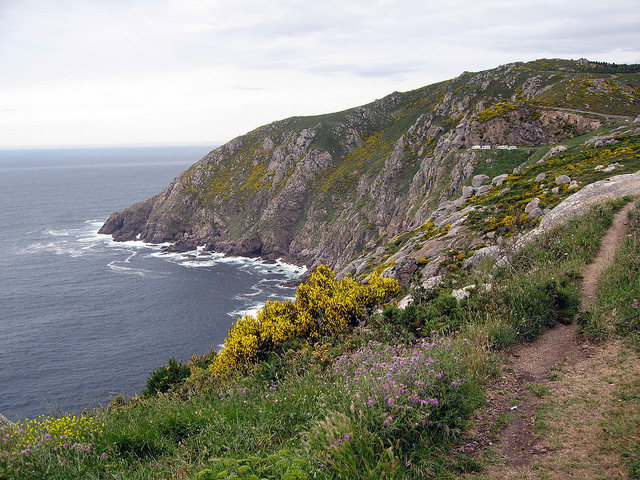 Finisterre Cape is the final point for many pilgrims on the Camino de Santiago, who have the habitude to burn their boots and clothes there, as a symbolic gesture to emerge free of the clothes that have accompanied them on such a long journey. Between the rivers Saja and Nansa of Cantabria there are many trails, but only one is guarded by 800 giant redwoods. 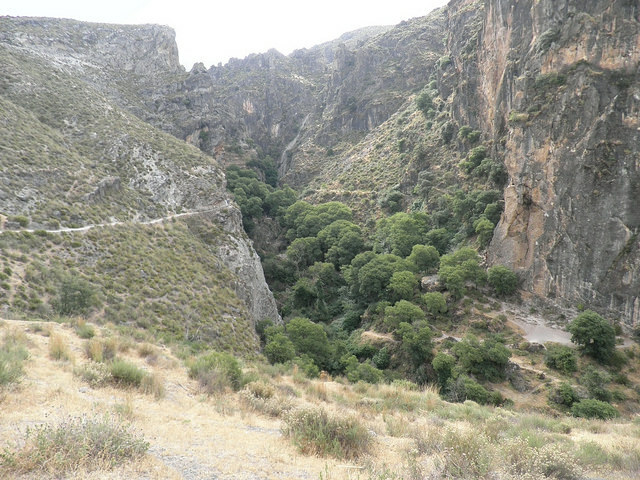 The Natural Monument of the Secuoyas of Monte Cabezón can be described only with the word “magnificent”: you can’t be sure if you are walking through a forest of Rivendel in the Lord of the Rings or through the Mount of Las Navas, very close to Cabezón de la Sal. Later the trail is divided, so if you want to continue walking you can choose among the mountains of Ucieda, San Sebastián de Garabandal or go to the Peñarrubia valley. If you are one of those who decided to go for a long walk this spring, this circular path that exceeds 650 kilometers is a real challenge. It is a long-distance trail (GR-249) that joins us with other trails in the province and links with the Mozárabe Way of Santiago (GR 245). 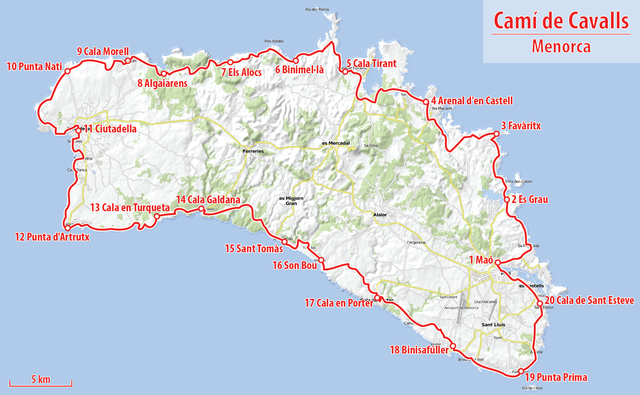 Also for those who take the trek seriously is this proposal through the GR-223, in which the island of Menorca is circumvented through 185 kilometers of trails. The Camí de Cavalls runs through the coast, and in addition to the shoreline, has ravines, torrents, lighthouses, trenches and coves that allow you to become in love of this Biosphere Reserve. 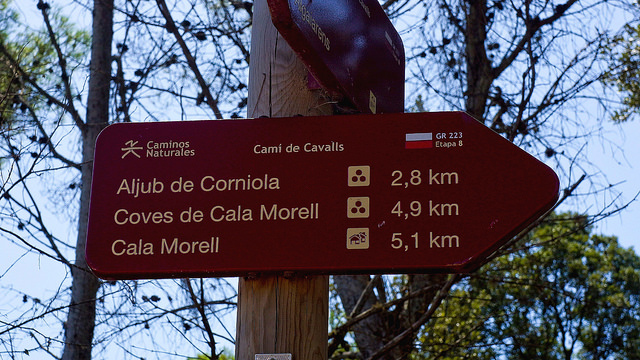 The Camí de Cavalls is divided into 20 stages, all perfectly signaled and in our maps. 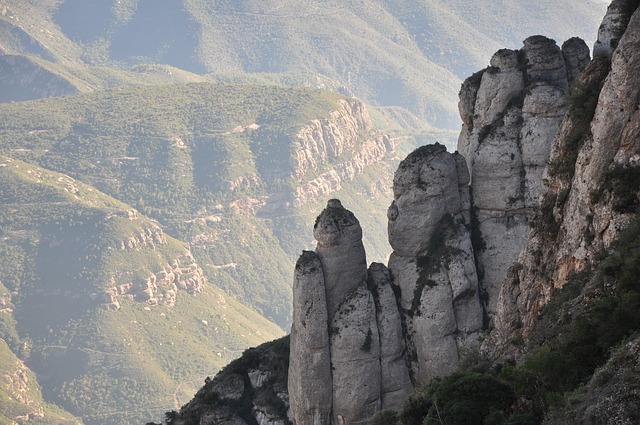 This place promises a magnificent spring day for hikers: the Natural Park of the Montserrat Mountain has lots of holm oaks and the geological formations to climb. In addition, there are the areas of Agulles, the Monastery of Montserrat, the Monastery of Saint Cecilia to see, and much more. In autumn this site is the kingdom of the mushroom pickers, but in spring it is filled with the smell of laurel, oregano, thyme and mustard. They are 170,000 hectares in extension, where there are plenty of trails: just to mention a few, we have the walk next to the Miel River, the Valdeinfierno trail, the Picacho climb or the Puerto Oscuro Gorge route, this last one suitable for all family. At the top of the Pyrenees snow still persists, but this route has already been dressed up to celebrate spring. And nothing better than walking by the valley of Boí to Aigüestortes and the Estany Llong and arrives at the shelter of the same name. 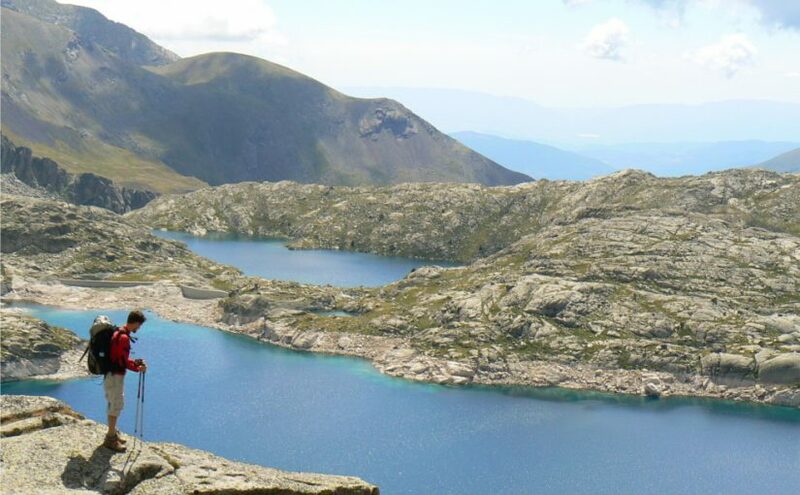 The route of the Planell d’Aigüestortes-Estany de Llebreta covers an approximate distance of 25 km with a slope of 739 meters, and it can be traveled within 4 to 5 hours. Even in the spring, we can see and step on some snow in the higher parts. If we are not used to such long distances, there is a 4 × 4 taxi service with which we can shorten the route. In the end, the transparent waters of the glacial lake and green pastures await us, a great day for the entire family. A few kilometers away there is other lake, the Estany Redó, which is not less impressive even being smaller. The Sanabria Lake is the largest glacial lake in the entire Iberian Peninsula. In its waters and other lakes smaller than the 22,000 hectares of the park, otters celebrate the spring and perhaps you can see them if you go through the Tera Canyon. Are you one of those who love the steep, the verticality of the routes and the places of abundant exoticism? Well then the Circular of the Mallos is for you. This is an area of ​​long tradition in climbing, with the advantage that in the spring there is no snow that can hinder your progress. We must also take advantage of the fact that temperatures are still mild, because in summer the heat can be a great impediment. 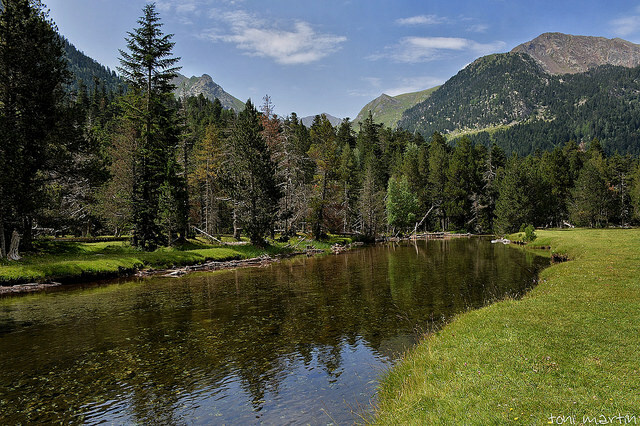 It is located in the Huesca Pre-Pyrenees. There are two versions: one short (5.5 km, 400-slope, 2h15’of route) and a more demanding one (10 km, 700-meter difference, 4h30′ on route). The decision depends on how much you want to demand of yourself. 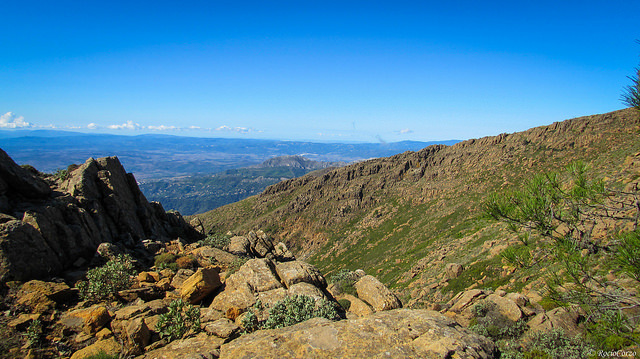 We owe this route to the Monachil River, which after having been born in the Veleta peak modeled and still do 2 really narrow roads: Los Cahorros bajos, good for those who start in the world of trekking, and Los Cahorros Altos, with better views over the river. And if you like suspension bridges, you will not be disappointed as there are several, one of them 63 meters long. So, are you ready to go walking this spring on these routes? If you have another one in mind and you want to recommend it, do not hesitate to leave us a comment. Maybe we follow your advice and we will meet this spring along the way.